Don’t you just love Ina Garten? I have all of her cookbooks and really enjoy her style of cooking. I like her clean simplistic styling. I guess she’s a lot like Martha Stewart, but nice! 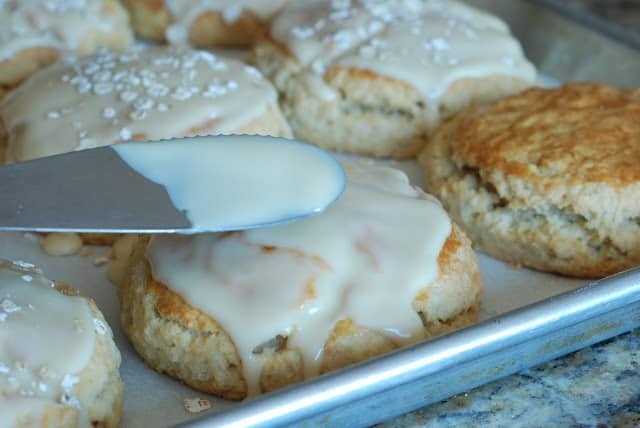 Years ago I came across her ripe for Maple Oatmeal Scones. I don’t make them often because of the loaded butter content, but for some reason with the cooling fall weather I was craving these scones. Our ingredient list is: all-purpose flour, whole-wheat flour, quick-cooking oats, baking powder, sugar, salt, cold buttermilk, pure maple syrup and eggs. 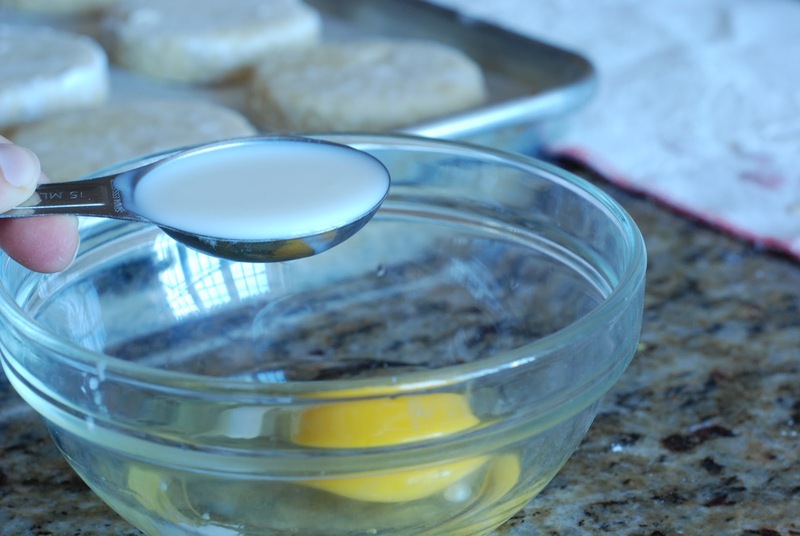 buttermilk to “lower the fat content”. INA, come on you’re using one pound of butter and eggs. 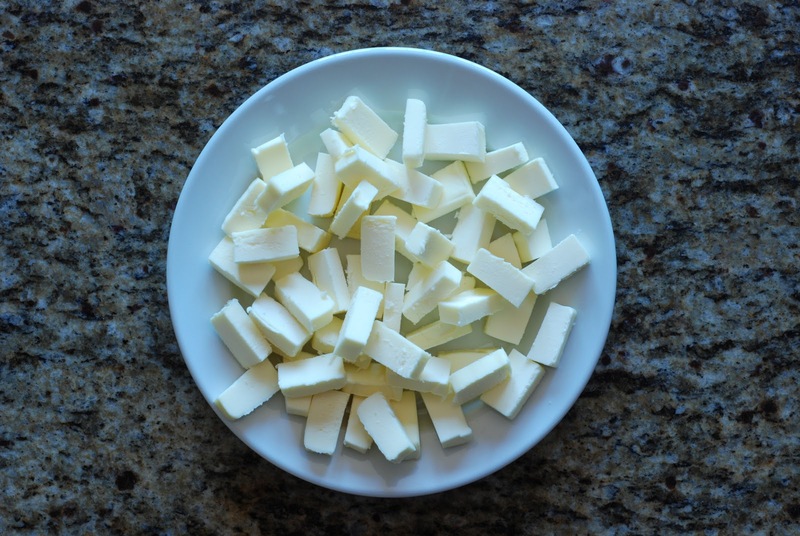 Why not throw in heavy cream? 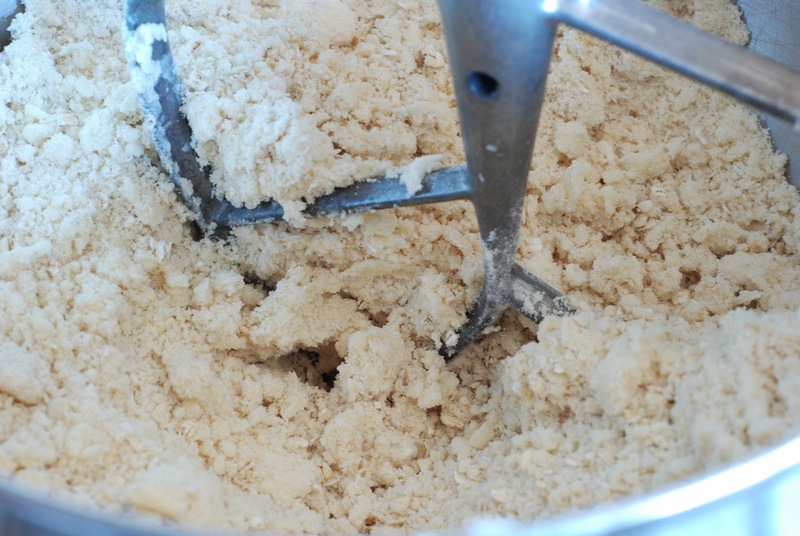 Turn the mixer on to blend all of the dry ingredients together. 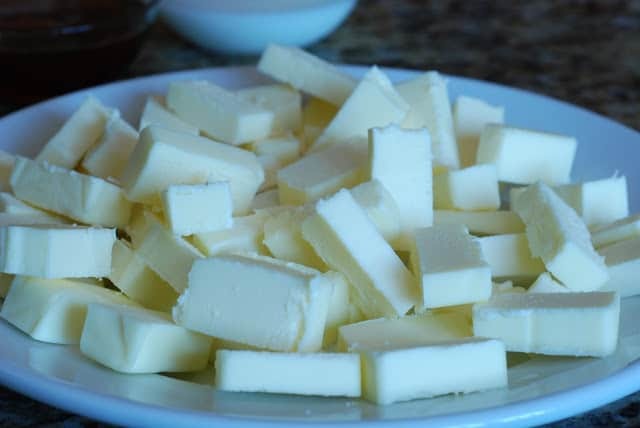 Grab that entire pound of butter that you have cut up and have kept cold in the refrigerator. You don’t want to let the butter come to room temperature. Keep it cold. 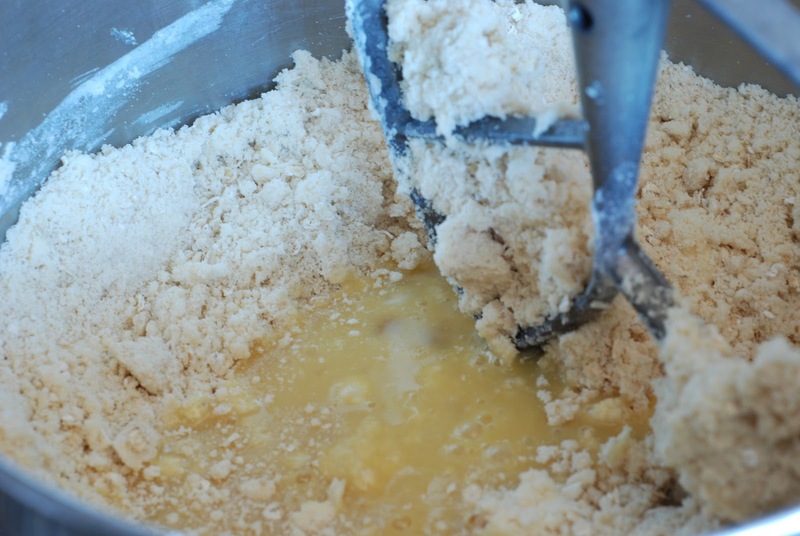 Add all of the butter chunks at once into the dry ingredients. 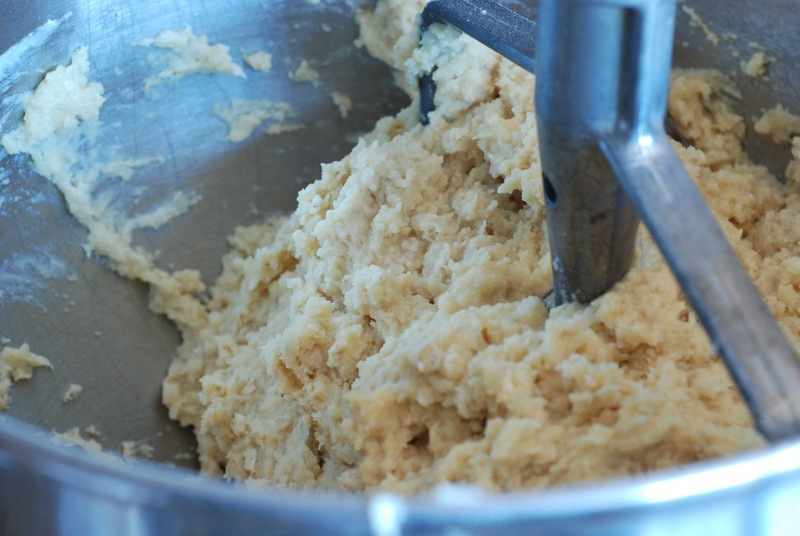 Turn on the mixture until the butter begins to blend in and is the size of small peas. You want to be able to see little bits of the butter. 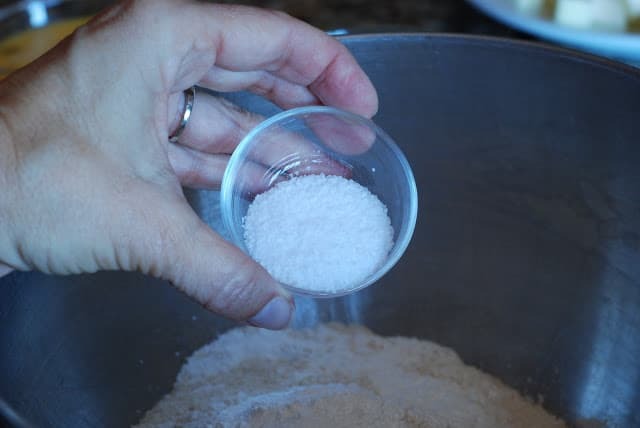 Leave this for a moment while you mix the wet ingredients. 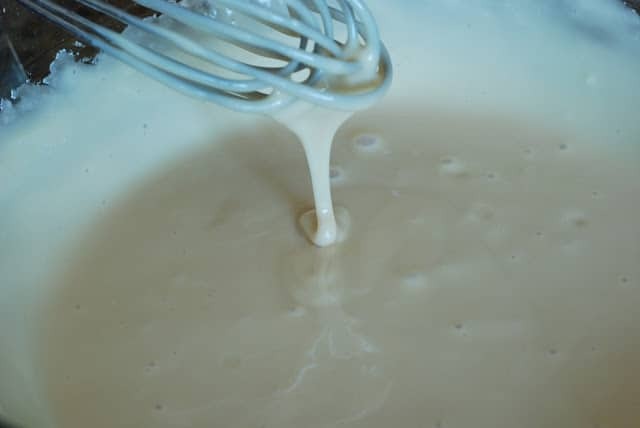 In a medium mixing bowl add the cold buttermilk, eggs and pure maple syrup. 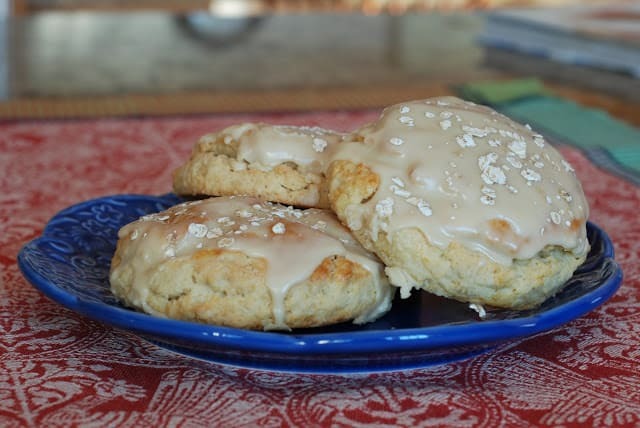 If you do not have any pure maple syrup, then don’t make these scones. If you even think about pulling out your “log cabin” or “Mrs. Butterworth’s”, I’ll come over to your house and slap you! No joke! Pitch that crap! Unless of course you’re married to the man that never reads this blog…then you have to keep a bottle stuffed away so he doesn’t cry when you make pancakes. Ugh! You would just think after 31 years I could convert him. I’m talking maple syrup here. Add the wet mixture into the dry mixture all at once. 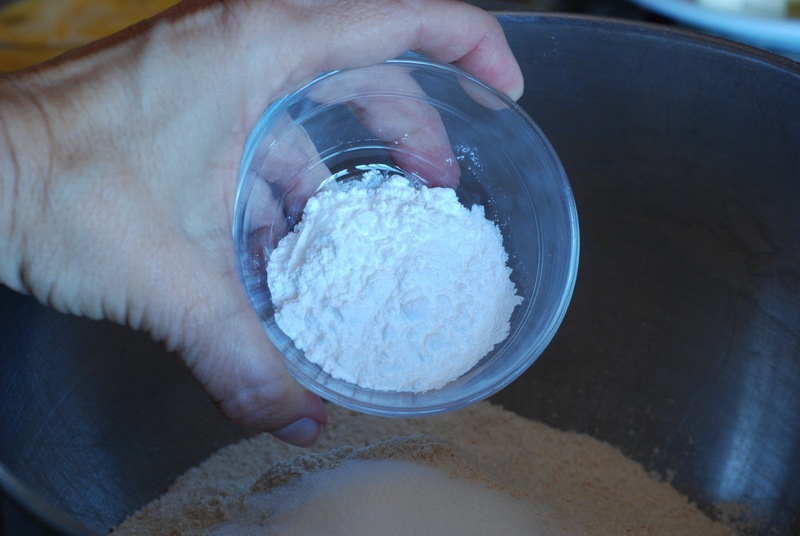 Dump all of the dough onto a well floured surface. 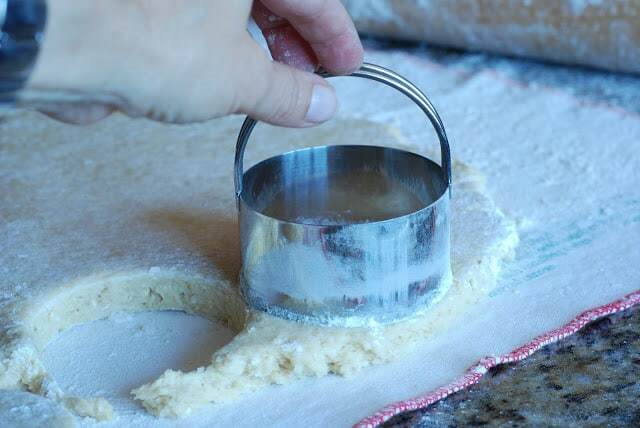 I’m using my pastry cloth…love it! 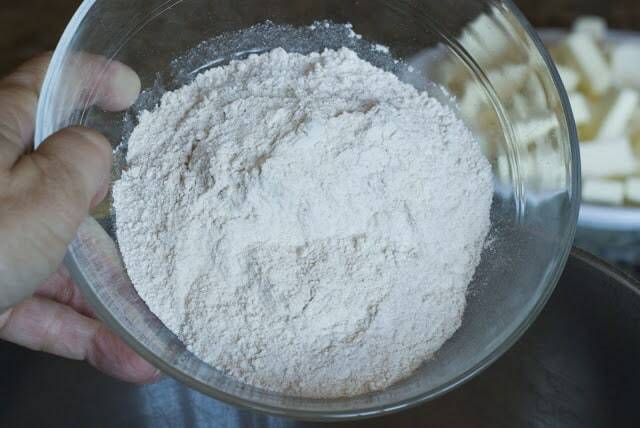 Flour your hands and gently pat the mixture to flatten. 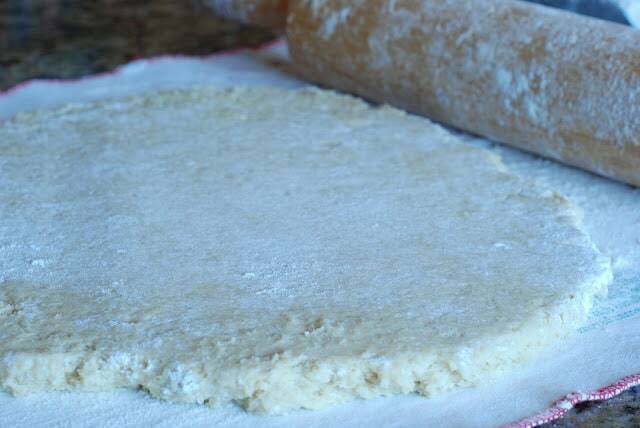 With a well floured rolling pin, gently roll out to about 1-inch in thickness. Cut into 3-inch rounds with a cookie or biscuit cutter or what ever you have that will work. 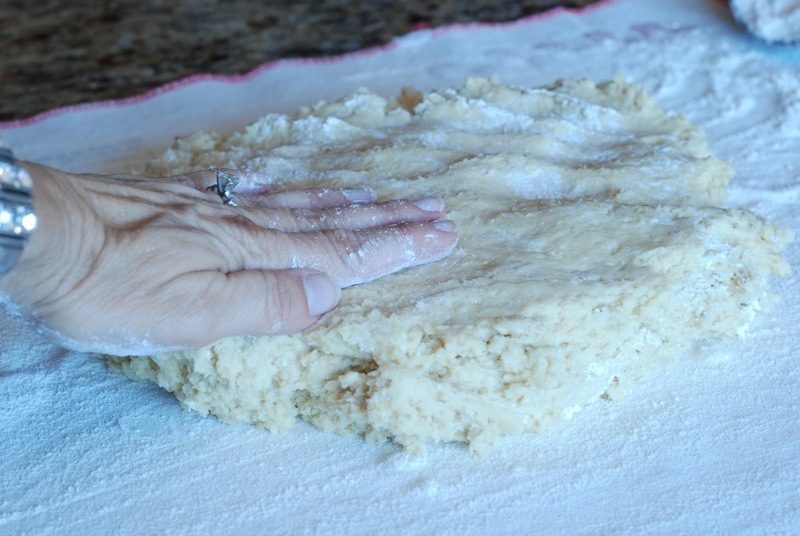 Place the scones on a baking sheet. Of course I like to line my baking sheets with parchment. 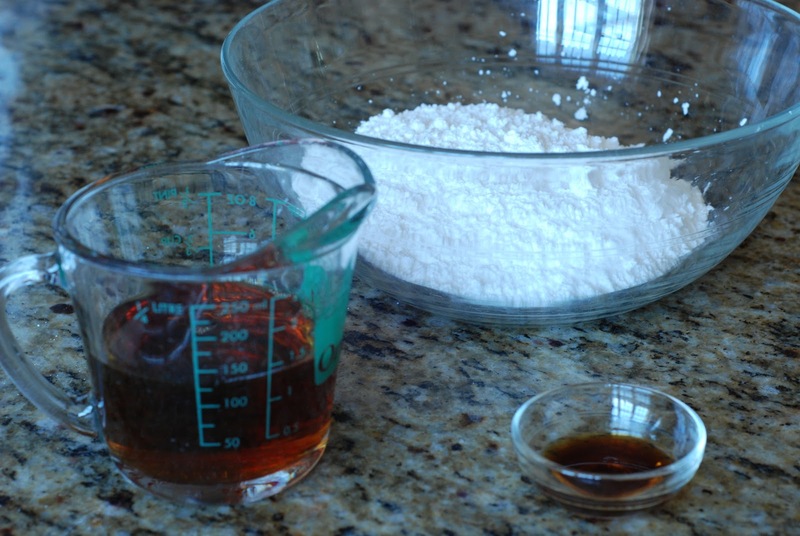 We are now going to make a glaze for the scones so they bake up nice and shiny with a golden crust. 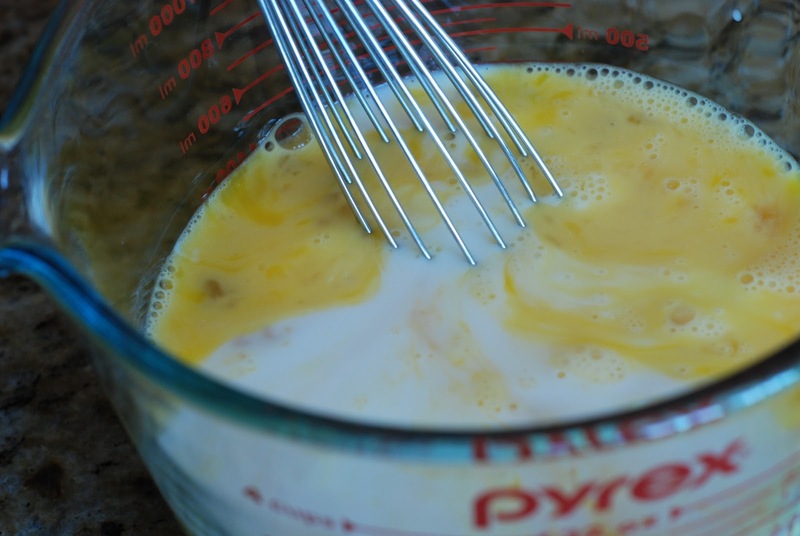 Mix together one egg with one tablespoon of milk. Mix the two together to create an egg wash.
Lightly brush the tops of the scones with the egg wash.
Place the scones in a preheated 400 degree oven. Bake for 20-25 minutes or until golden brown. When the scones are baked remove them from the oven and allow to cool for about 5 minutes. While the scones are cooling make the icing glaze. 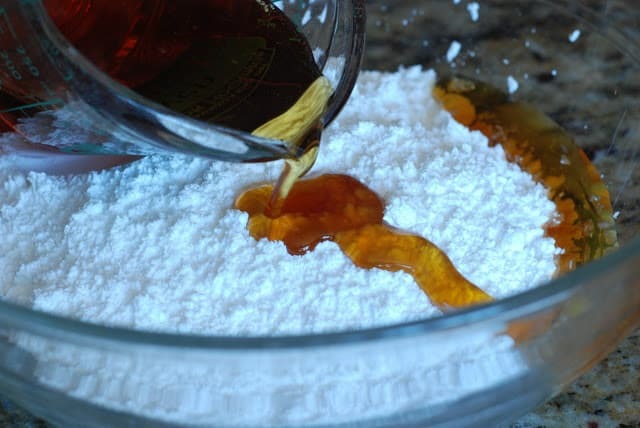 For the icing you will need powdered or confectioners’ sugar, more pure maple syrup and vanilla. and the pure maple syrup. 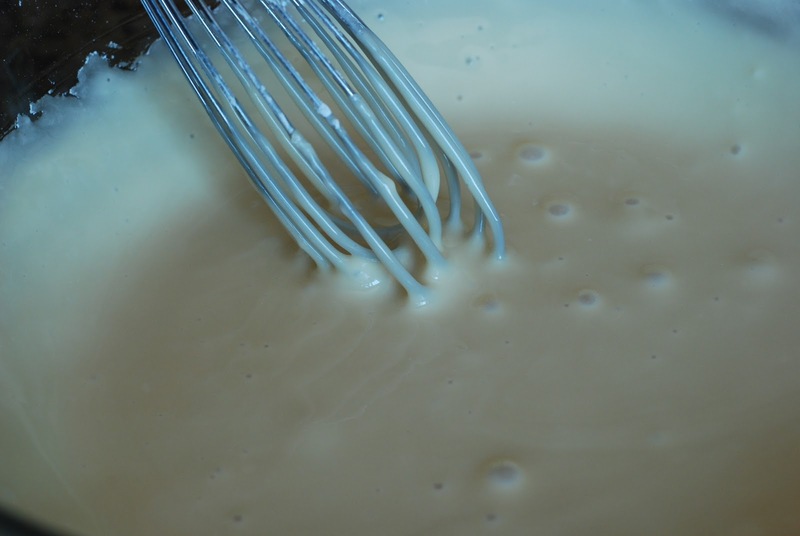 Whisk the ingredients together until it is creamy without lumps. The icing will be fairly thin. After the scones have cooled for about 5 minutes, spread the maple glaze over the top. Spread it to the edges so the glaze can run down the sides. 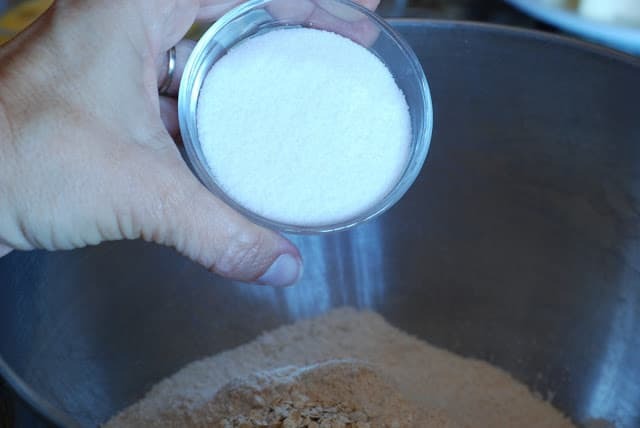 Sprinkle with a bit of the quick cooking oats. Please serve them warm, because they will literally melt in your mouth (thanks to all that butter). 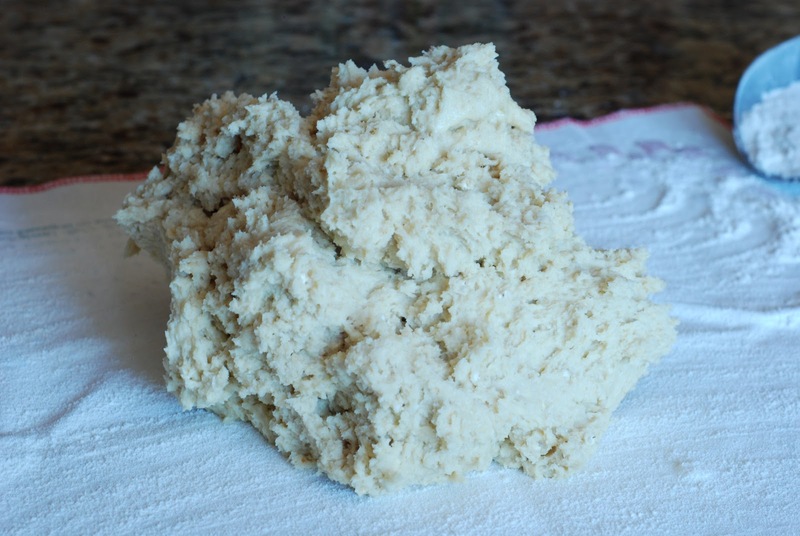 I love the texture of the whole-wheat flour and the oats. It gives the scone a bit of a bite. You should have about 18-20 scones. Of course I’m going to have leftovers, because the husband that never reads this blog would prefer “Frosted Mini Wheats”. (sigh) The left over scones freeze wonderfully. I like to put a left over scone in the microwave for about 15 seconds to rewarm. 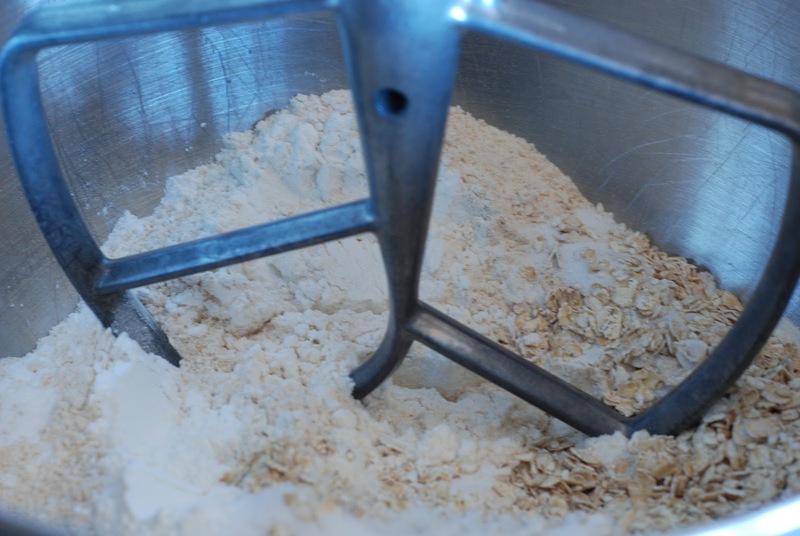 In the bowl of an electric mixer fitted with a paddle attachment, combine the flours, oats, baking powder, sugar and salt. 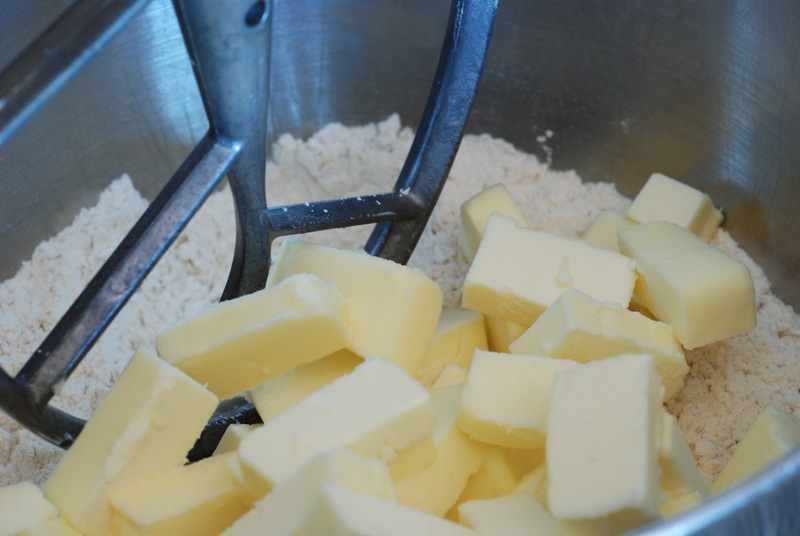 Blend in the cold butter in at the lowest speed and mix until the butter is in pea-sized pieces. 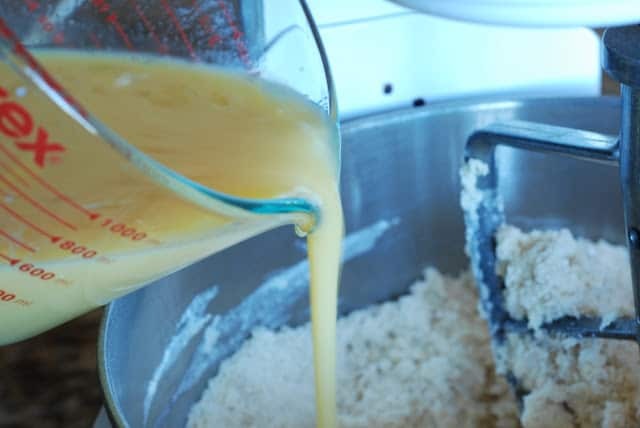 Combine the buttermilk, maple syrup and eggs and add quickly to the flour-and-butter mixture. 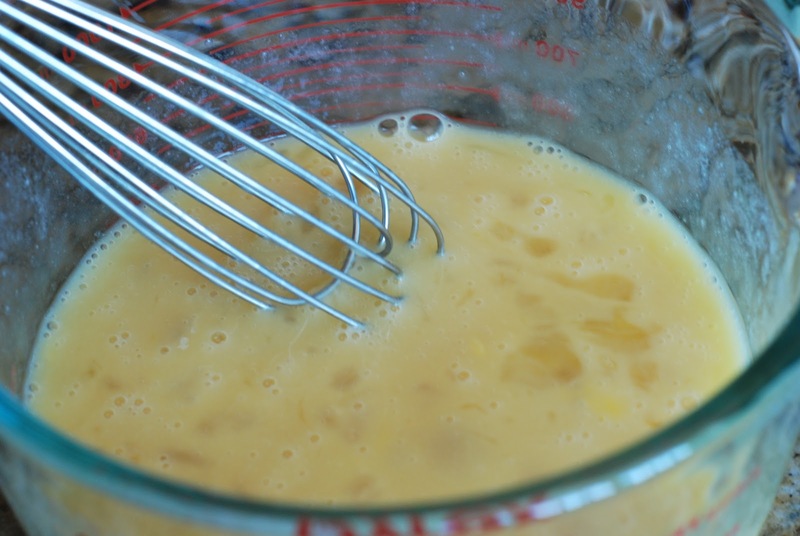 Mix until just blended. 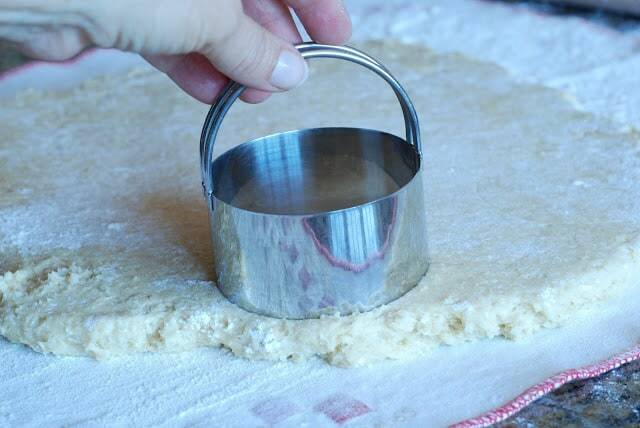 The dough will be sticky. 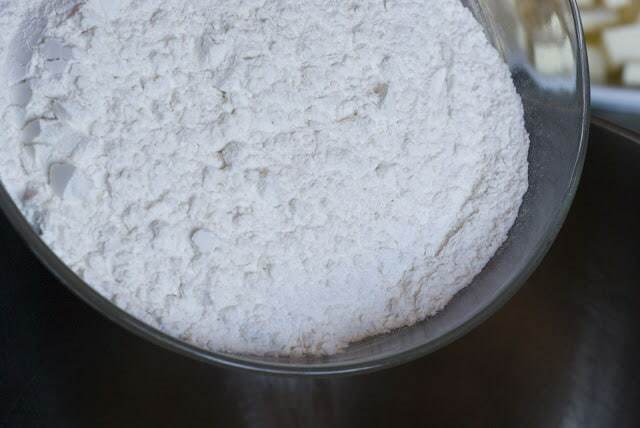 Dump the dough out onto a well-floured surface. Flour your hands and a rolling pin an droll the dough to 1-inch thick. You will see lumps of butter in the dough. 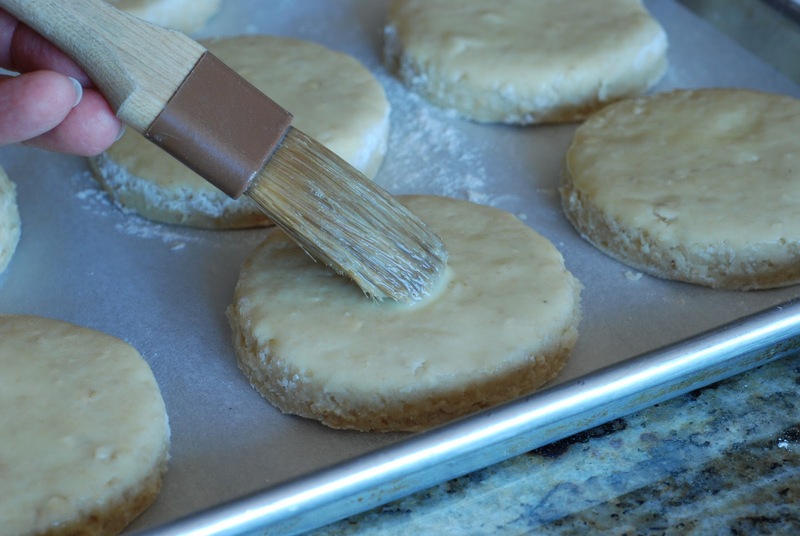 Cut into 3-inch rounds with a cutter and place on a baking sheet lined with parchment paper. 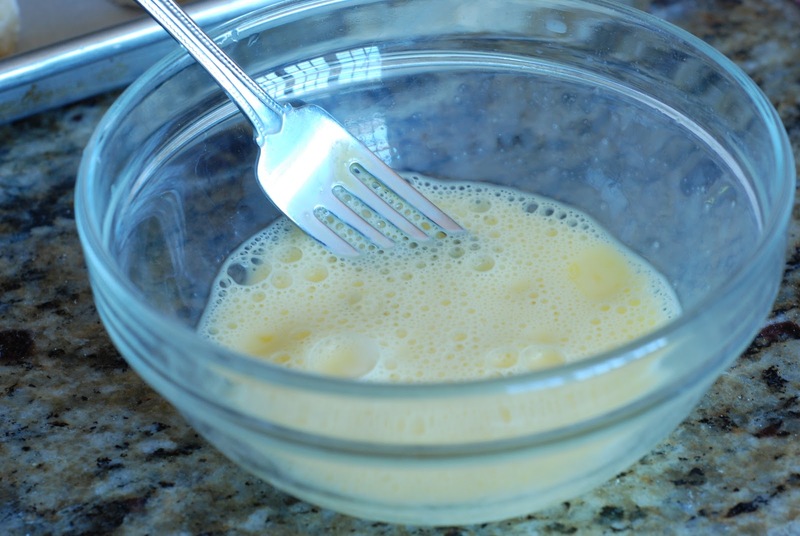 In a small mixing bowl, combine the egg and milk. 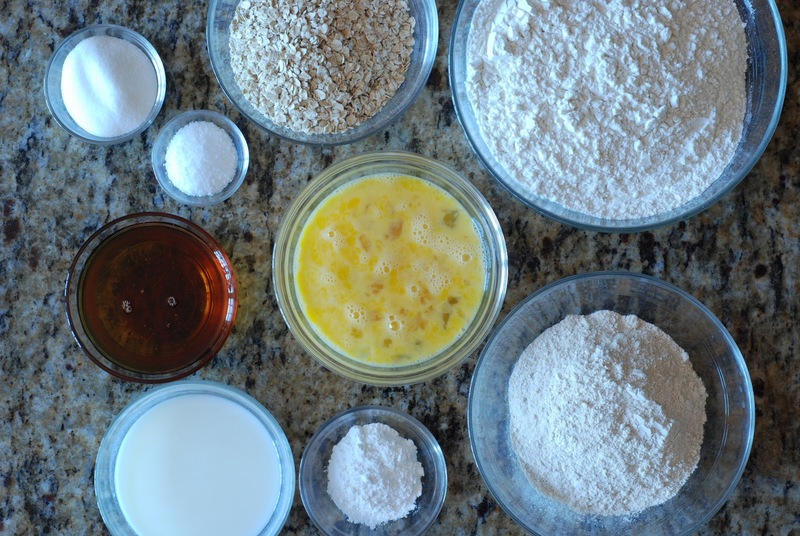 Mix together and brush the tops of the scones. 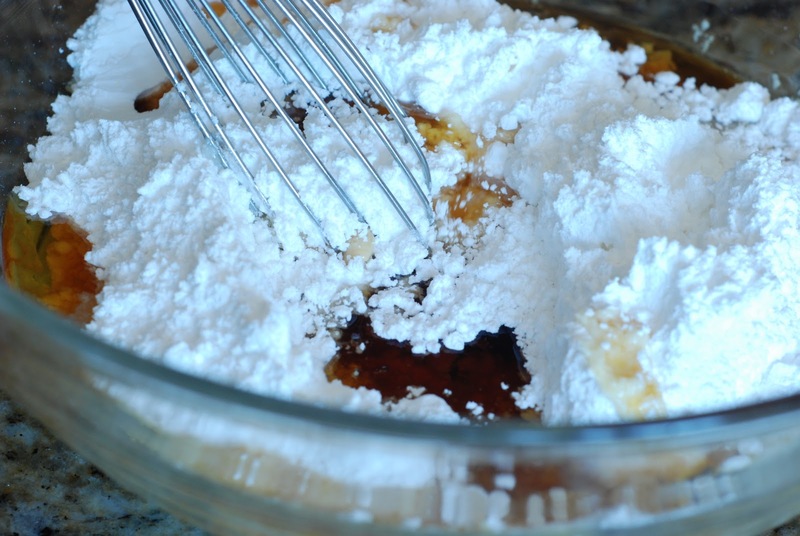 Bake for 20-25 minutes, until the tops are golden and crisp and the insides are done. 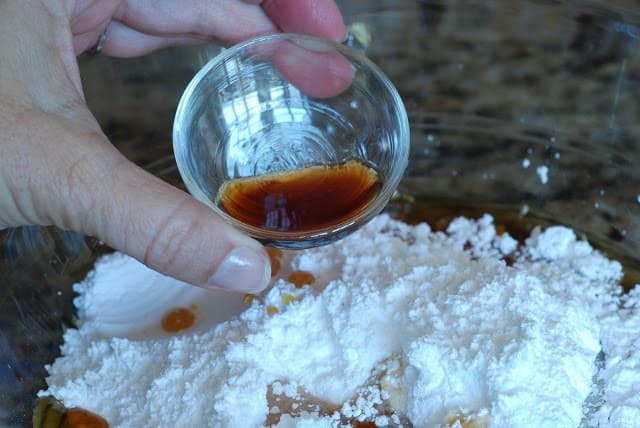 To make the glaze, combine the confectioners’ sugar, maple syrup and vanilla. 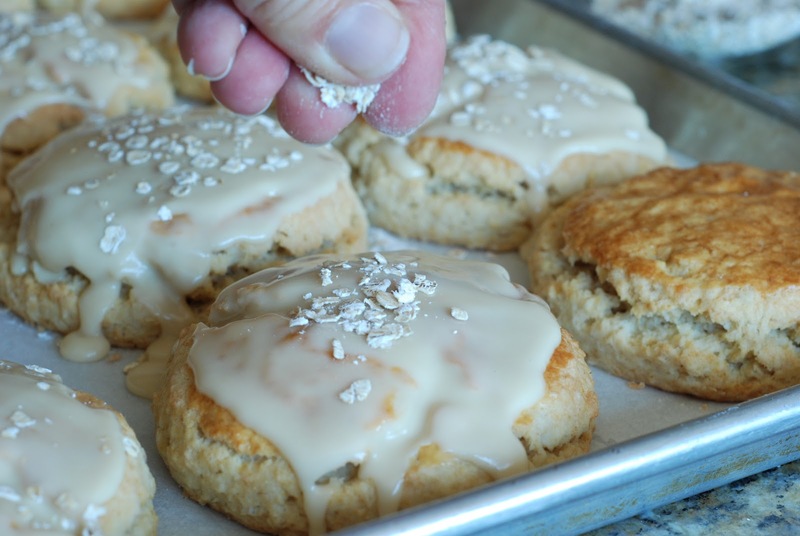 When the scones are done, cool for 5 minutes and drizzle each scone with the glaze. 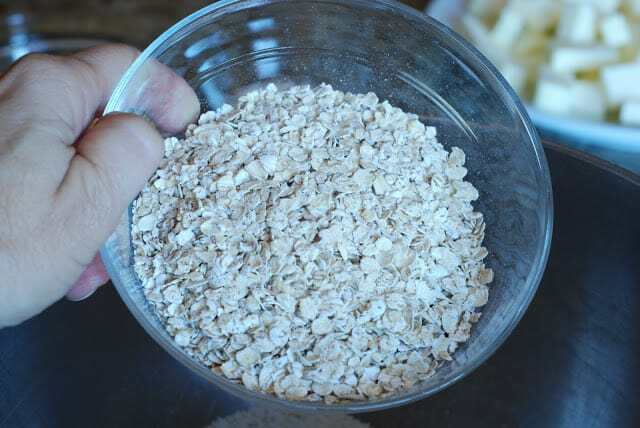 Sprinkle with some of the quick cooking oats. Makes 14-16 scones. 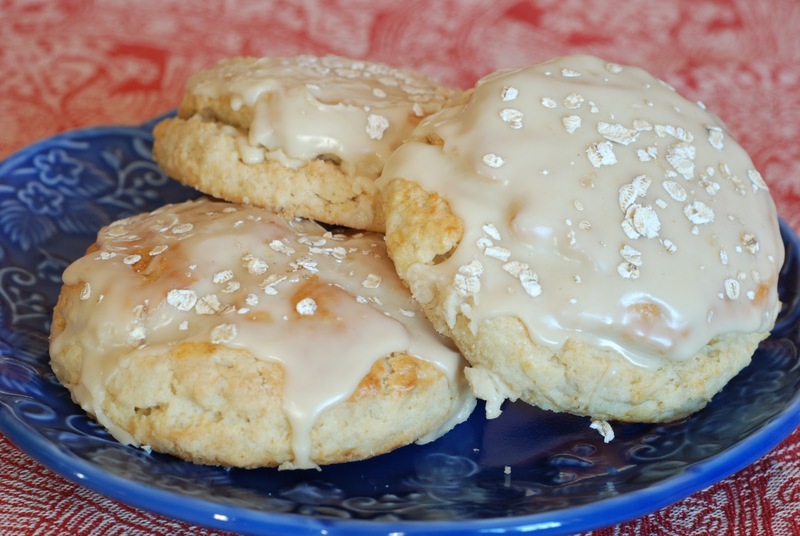 Maple Oatmeal Scones a nice change for a crisp morning breakfast. Cinnamon chips would be fabulous. Great idea. ive made these before. theyre so good. next time im gonna stir in cinnamon chips! it works and I'm so happy!! I also used the darkest maple. delicious is all I have to say. Thanks, Chelsea. I hope you're not too busy to try them sometime. Wow, these look so good! And filling, too. Perfect for long days on campus 🙂 Thanks for sharing this recipe! I think Sue means fake maple syrup. . . gasp! How could she! I want to be friends with Jim' sister. What have you got a bottle of Sue??? You drinking?? 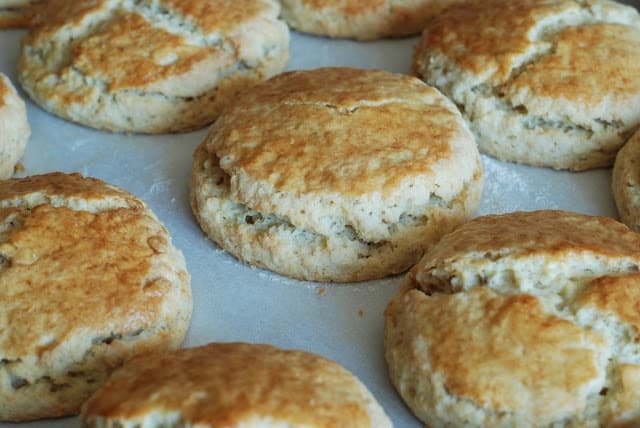 Excuse me dear, but why on earth would you need to freeze leftover scones when you have 2 blondes standing at your front door everyday who would be more than happy to take them off your hands?!! Sigh… BTW…Jim gets a big can of Vermont pure maple syrup from his sister EVERY year! But Keith can tell you I also have a bottle of something in my pantry that will get me slapped!!! Darn kids! These look fabulous J.